The KangerTech TopTank is a lot of things but not mini. The TopTank is loved by its users because of its top-class design and essential parts. It comes with easy refill mechanisms that eliminate the need for removing the tanks – thanks to the top fill vape tanks design. 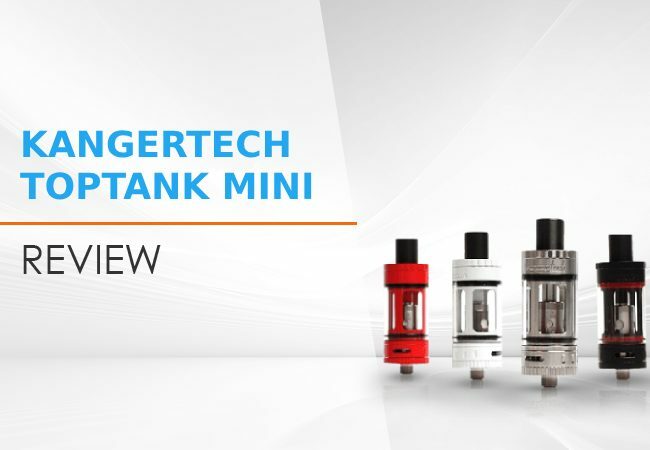 Kanger TopTank Mini offers quite a lot both in terms of design and tangible parts. There are four colors to choose from. They are stainless steel, white, black and red. TopTank has excellent build quality, sound engineering; all parts synchronize with one another. The building quality is robust, amazing and reliable. The product performs outstandingly as temperature control or sub-ohm vaping device. 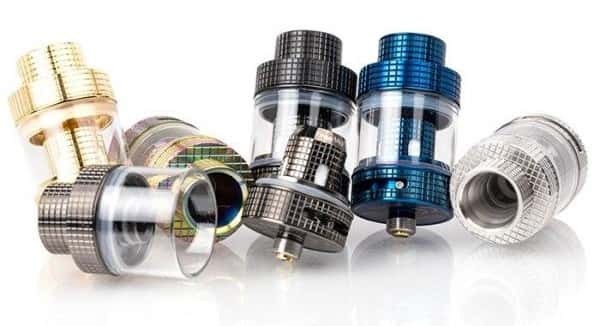 This TopTank is incredible, though it is a revamped version of the original and successful Kanger SubTank. It gives high-quality warm vapor rich in satisfying flavors, regardless of the coil being used. 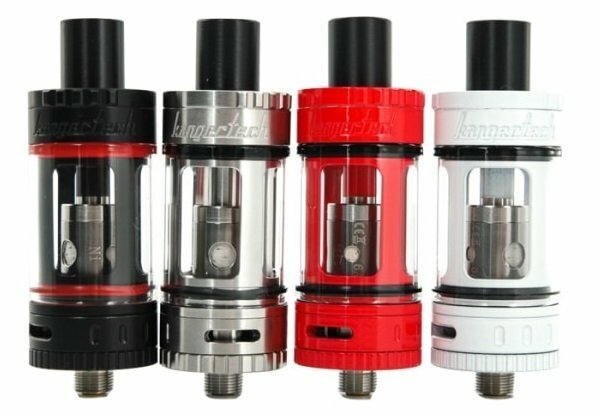 What Is the Build Quality of the Kanger TopTank Mini? 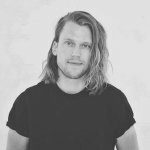 Is TopTank Mini the best Sub-ohm Tank? The Kanger SSOCC/stainless steel organic cotton coil is pre-installed and provides temperature control vaping. Another SSOCC coil is the 0.5-ohm Kanthal Clapton and the last is the RBA coil. This comes with a 0.5-ohm Kanthal coil pre-wrapped by the manufacturer. The RBA is extremely easy to use. It comes with extra tools to aid – organic cotton, screws, screwdriver. Additionally, in the pack of tools is another pre-wrapped coil – installing in the RBA without hassle. The TopTank is impressive, with an excellent and sturdy build quality. Its vape tank engineering can be compared to none. The sub-ohm design is faultless, the O-rings perform flawlessly, and all essential parts synchronize well. The device is leak-proof, designed out of stainless steel making it more durable. Also, there is no need to worry about using a VG e-liquid because the tank is manufactured using high-grade Pyrex glass. When it comes to TopTank, one thing it offers exemplarily is flavor. It does not just produce cloudy vapors, but also makes an outstanding hard-hitting flavor. 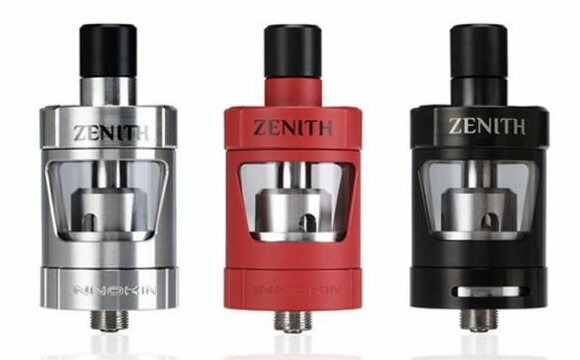 The device comes with a 510 drip tip connection allowing for usage of any of the favorite drip tips. The vapor quality can be customized easily, with excellent airflow and its wide-open setting makes the TopTank great. Using the 1.2-ohm coil for a mouth to lungs vaping gave an enjoyable and satisfying vapor with a strong layer of flavor. Another thing to mention that makes TopTank top-class is its airflow control. The airflow comes in three different modes – huge, medium and small airflow intake. The low airflow intake is ideal for users who prefer mouth to lungs vaping. Mouth-to-lung vaping is when users draw vapor into their mouths before inhaling, similar to what smokers do with a cigarette. However, if users choice lies in temperature controlled vaping, then a huge or medium airflow intake is appropriate. This airflow intake gives incredible experience with direct lungs vaping. This product also gives users the option of temperature control vaping. The FreeMax FireLuke is another product with excellent Sub-Ohm Tank performing incredibly and comes with ReBuildable Atomizer Deck. TopTank would be preferred regarding temperature control vaping. The device gives fantastic flavor, leak-proof and coils that last 2 – 3 weeks. When it comes to flavor, the device delivers well. It still performs fantastically though its airflow is not as tight as TopTank Mini. The device comes with a 0.8-ohm coil, which is best for flavor and works well straight out of the box. And another 1.6-ohm coil starts poorly but gets better as you break in the coil. Kanger TopTank is small, yet gives impressive results. It is durable thanks to the stainless steel and with build engineering far beyond other tanks. Users are bound to enjoy its flavor-rich vapors with a strong throat hit. It is simple to use and very diverse with what it offers and delivers. Whatever you are looking for, TopTank is sure to surprise amazingly.